Hello, I am Dr. Teresa Martinez-Baker and I own BE ALIGNED Dr. T's Family Chiropractic & Essential Oil Education with my husband Dave Baker. I was born and raised here in the Lompoc Valley, and I am proud to be back here raising my own family and serving my community. I graduated from Lompoc High School in 1996. I played soccer and softball for the high school and my senior year I was one of the first students to go through Mr. Tom Blanco's Athletic Training Class. I then went on to school at Indiana University on a full ride softball scholarship. I received my Bachelor's of Science Degree in Kinesiology with an emphasis in Exercise Science in May of 2000. I worked for one year at Bob Nye Physical Therapy as a physical therapy aide while I was finishing up some pre-requisite classes needed to get into Chiropractic school. I attended the Southern California University of Health Sciences- Los Angeles College of Chiropractic and received my Doctorate in December of 2004. During this time I was able to do my internship at many different clinics. I worked at the school clinic in Pasadena, the Aids Clinic in West Hollywood, California State University Northridge, CSU-LA, and Cerritos College. I also worked an internship with Dr. Daniel Murphy in Santa Maria as well as Dr. Bill Pierce and Dr. James Peterson. I was able to learn many things in my internship opportunities that have helped me develop into a very caring and knowledgeable doctor. When I received my license to practice in the State of California, I was offered a job to work as Associate Doctor with Dr. Bill Pierce of Pierce Chiropractic and Sports Injury Center in Santa Maria. Here I was able to start building my practice and learn most of the business aspects of being a chiropractor. On November 5, 2005 I married my husband Dave Baker and 6 months later we found out we were to be expecting a baby. We decided it was time to open our own clinic, so that I could practice in our hometown. We opened Dr. Teresa Martinez-Baker Family Chiropractic on August 21, 2006. It has been great to serve the community and all the families in it and see the difference I can make in helping people live healthier, less toxic, pain-free lives, and be able to function better in everyday activities. I also love being apart of the the sports community by helping out with the Lompoc High School Athletic program, Parks and Rec Adult softball league, the River Bend Bike Park, a Wellness Advocate with doTERRA Essential Oils and also being apart of the Crossfit Ohana community. 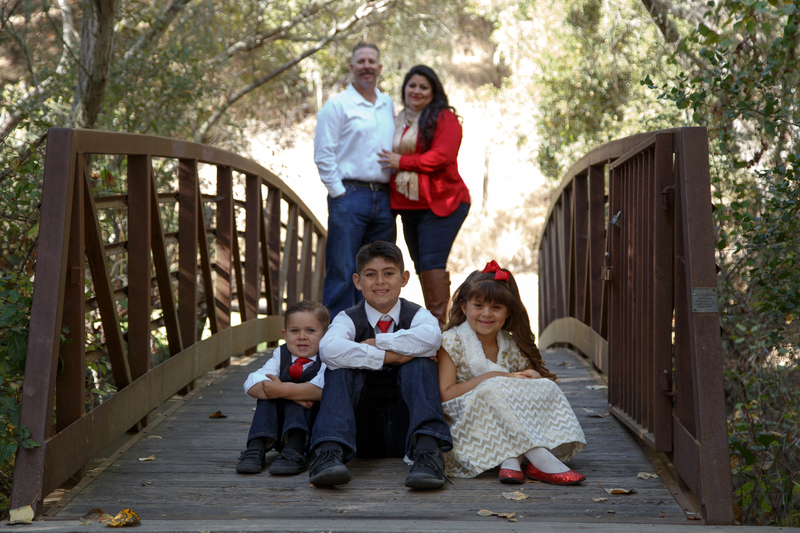 Now as a family, with our son 11 year old son Cameron , our Daughter Aubrianna who is 6, and our other son Raymond who is 4, we are here to bring chiropractic care to everyone who needs it in the beautiful Lompoc Valley.